Poppy loves open-air swimming pools. We go rain or shine, making sandwiches and flasks and buying sweets and ice creams from the charming little wooden kiosk. We discovered Ware Lido in 2009 when our previous pool in Broxbourne had been closed down. 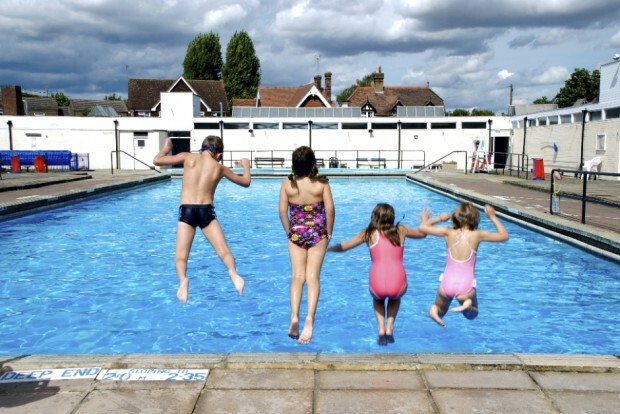 These pictures were used to help a community group ‘Friends of Ware Lido’ gain a foothold in the future of the pool. The group have gone from strength to strength and hopefully this wonderful municipal resource will continue to delight many future generations of children and adults alike.